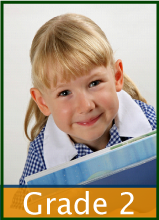 See our phonics and math worksheets, flash cards and videos that many second grade children study in a year. Many curricula today do not offer children a chance to learn the facts in order, or in a constructive way. 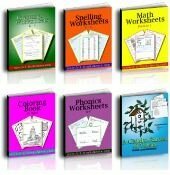 We have built Math worksheets that let your students practice the equations three times each, and phonics worksheets that have your children copy the spelling of the words three times. You can supplement your own lesson plans for second grade with worksheets, flash cards, and videos. When I teach addition, I like to teach subtraction at the same time. The children realize that the same three numbers are involved and make the association between the tables better. Of course, multiplication and division are the same way. Second Grade is a great time for children to learn the 2s, 5s, and 10s of multiplication and many are very able to learn all twelve tables. Using or counting money includes the 5s and 10s so this is a great time to make that association, too. The first download has 92 pages and includes the list to put in your binder as well as the worksheets for the children to use to copy their spelling words. 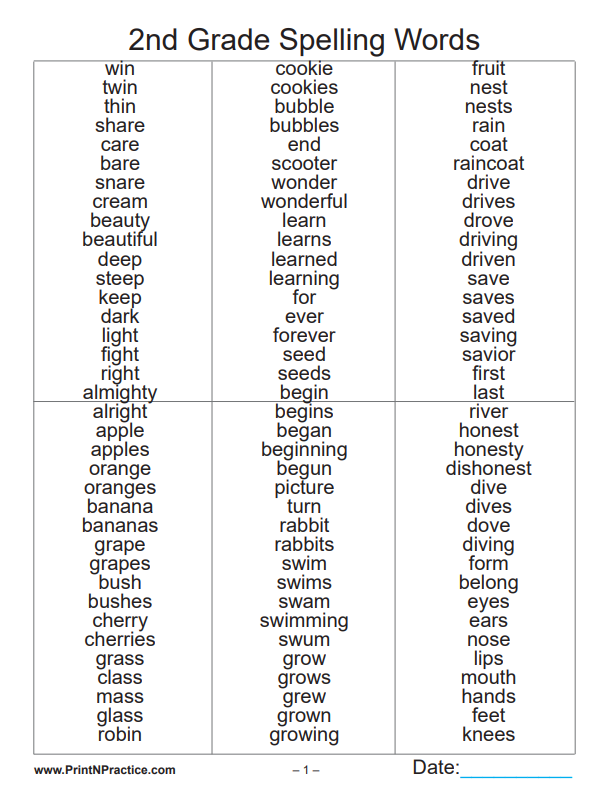 If all you need is a list of second grade appropriate words you can print the second list. The children can copy the words from there, too. These next two free printables have many pages of Second Grade Spelling words. The first set has 92 pages that include a reference list of five pages. The second download has the five pages of spelling words only and is handy to print on card stock to keep in a binder. Offer your students plenty of review time. If you are tutoring or homeschooling you can judge the individual amount of time that it takes your students to learn these words. The words are above the level that your students can sound from the first sounds and the verbs offer several of the verb forms. You can also buy the spelling lists for all seven grades K-6 bundled in convenient files. 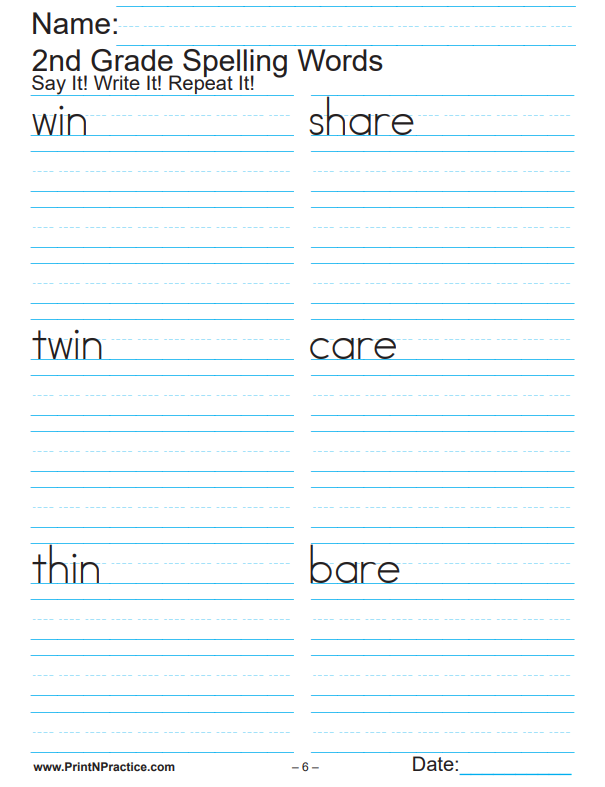 See our printable lined writing paper page for blank spelling paper. Students are frequently taught cursive in Second Grade Writing classes. They're also learning to write their own sentences. You'll find that dictation can your students to learn independent writing in the long run. Their own minds work through the sounds and rules for writing words and sentences and this requires that they know the sounds and the rules and a touch of Grammar. Are you looking for cursive writing worksheets? Simple sentences and punctuation? Go to our Simple Sentences and Compound Sentences. Most of our Grammar worksheets have cursive versions. Thank you for visiting our printable second grade worksheets!